This product is reputed to bring some of the strongest, longest lasting front doors. With excellent energy efficiency and great looks, they are bound to make a great first impression upon any visitor. 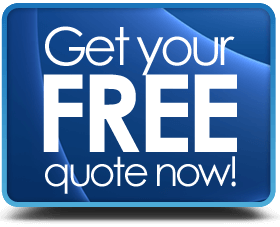 The best feature of a composite door is that it looks as if it is made from high quality wood but don’t have any of the “downside’s” giving you the best of both worlds. The long lifespan, durability & thermal properties derive from being constructed with a combination of glass reinforced plastic or GRP with additional steel reinforced frames and a core containing specialised insulating polyurethane. With an outstanding choice of external doors when it comes to colour (more than a dozen) and surfaces that have bonded wood-grain, composite doors will seriously improve the look of any property. It is reported that up to 70% of all household burglaries are via a vulnerable door, so making sure you have an adequately secure front or back door should be at the top of your list. 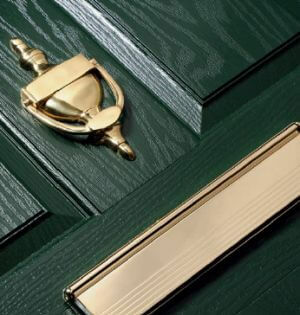 Make your own impact by selecting from over a dozen colours and combine that with a range of finishes for door furniture such as letter boxes, handles or foot plates in silver, chrome, brass or even solid colours such as black or white. Double glazing for contemporary composite doors is usually standard, but you may find options for triple glazed panels on some designs. Obscure, clear, etched or otherwise decorated glazing is available. For wider entrances, side & top panels can be added. The doors will always fit neatly to the frames because they don’t warp, distort, shrink or expand like wooden doors.